ICT is an essential aspect of teaching and learning for every school. Data and technology reliance is only on the increase. 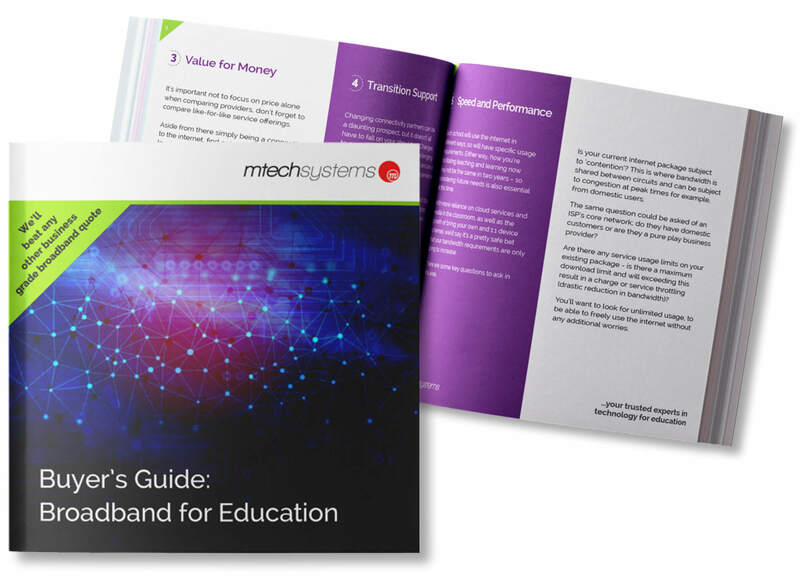 If you’re looking to source a new broadband provider for your school or trust, you may be wondering where to start. Download this guide to help you on your journey to selecting the right provider for you.